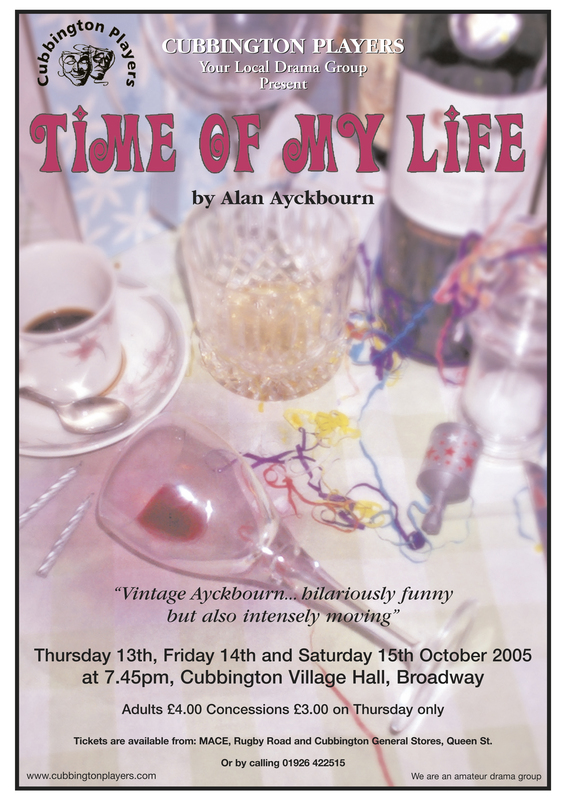 Alan Ayckbourn is an acknowledged master in the exploration of the comic and at times sad complexities of modern middle-class relationships, and “Time of My Life” is a superb example of his art. Gerry Stratton has successfully run his family business for many years, and with his wife Laura and their two sons always celebrate their family anniversaries in their favourite restaurant, Essa di Calvi. However, all is not as well as it appears on the surface. The three couples initially occupy the same time zone, Laura’s 62nd birthday, 22nd January 1994. However, as the action unfolds, we see the elder son, Glyn, and his wife Stephanie, move forward in time (nearly 2 years in total), and the younger son, Adam, and his new girlfriend Maureen, move backward in time to the beginning of their relationship. Gerry and Laura remain in the same time zone, 22nd January 1994. This device gives the play its special atmosphere, as it reveals how their several different fates are inextricably intertwined. There’s something about big family get-togethers which forces tensions and untold secrets to bubble to the surface with comic but moving effect – and Ayckbourn is the acknowledged master of capturing the unease of such events. But while the hilarity of the surface story was sufficiently achieved here, the tender undertones of the Stratton family’s relationships were not always projected. The story begins at the one restaurant table with the entire family celebrating their mother’s 62nd birthday. Then one of the couples takes the story forwards in time and another backwards at separate tables. This was an engaging device, each table taking its turn to add to the story and the actors did more than enough to keep the suspense going throughout the play. The comic value was particularly aided by the restaurant waiters, played by Joseph Hughes and Dave Gallagher.